America's amusement parks offer a whole lot more than thrills. Some of the best parks also provide plentiful entertainment opportunities ideal for taking a break between rides or celebrating the end of a great day at the park. 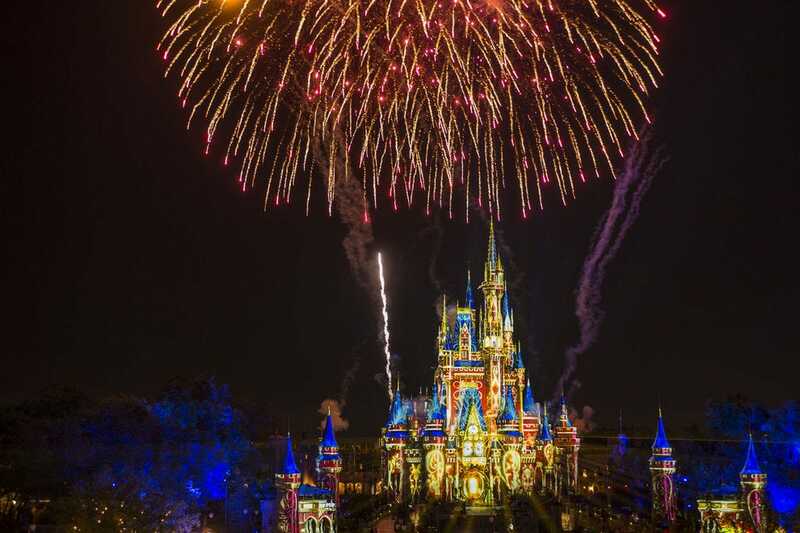 From parades to fireworks shows, these 10 entertainment options were nominated by a panel of theme park experts and voted by 10Best readers as the best in the U.S. 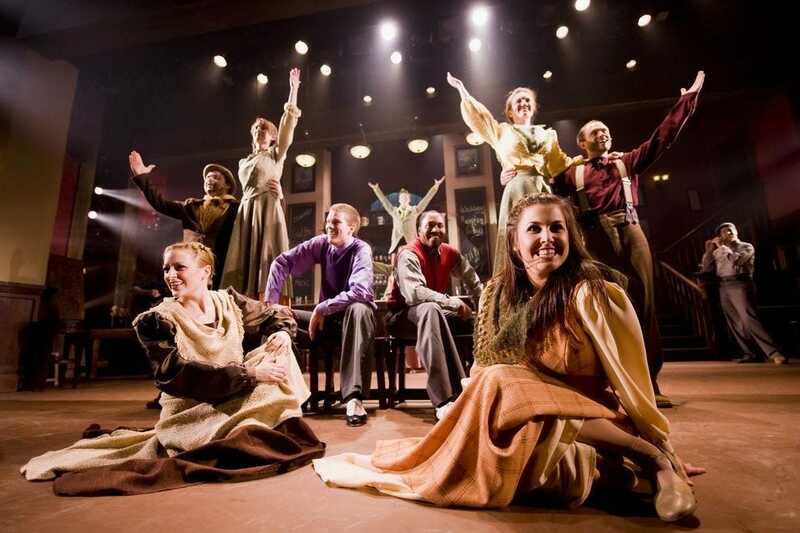 Celebrate the Celtic tradition of storytelling through dance at this incredibly popular, high-energy show at Busch Gardens Williamsburg that will have you laughing and clapping to the beat of festive music. Animals native to Ireland make appearances and audience participation provides another fun angle. Guests leave the show with a new found or rekindled love for all things Irish. SeaWorld's famous pinnipeds Clyde & Seamore are going back to school at Sea Lion High. 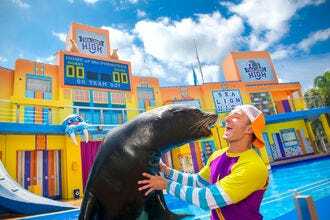 This comedic showcase of impressive animal behaviors in the Sea Lion and Otter Stadium follows the pair as they compete for a scholarship to Ocean University. 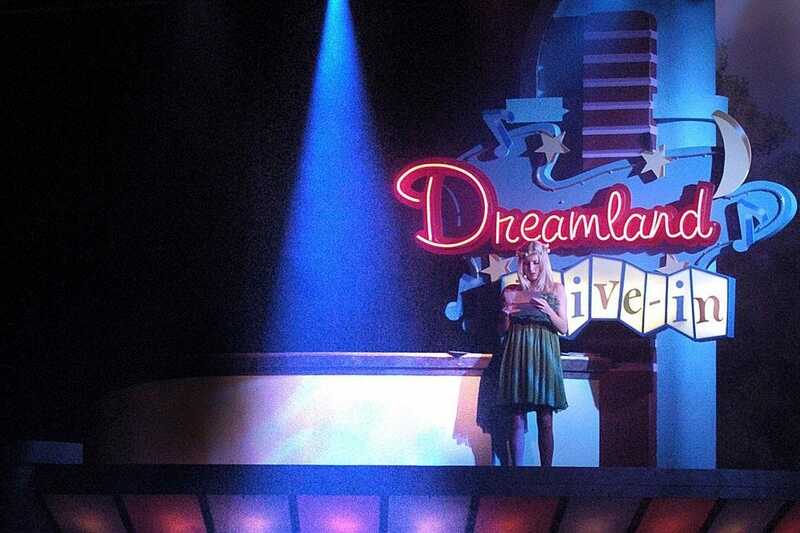 Twelve performers and four live musicians take guests at Dollywood on a trip down memory lane with upbeat, toe-tapping renditions of top hits from the 50s and 60s. 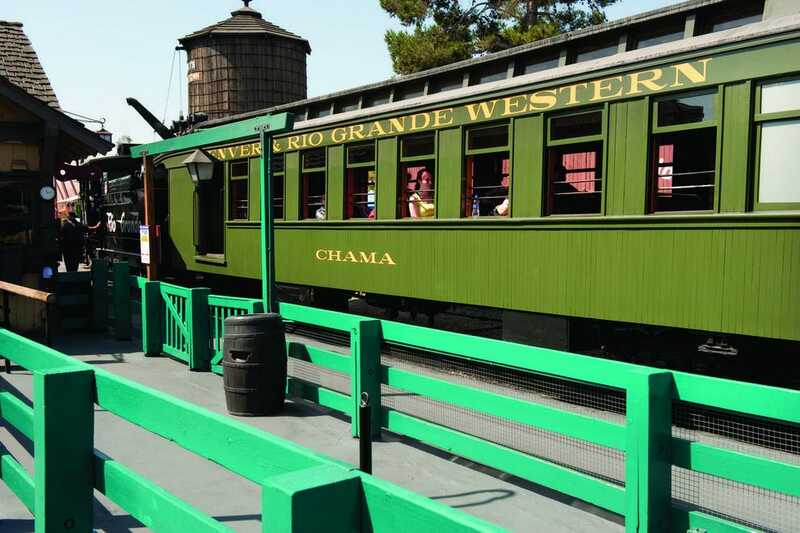 Park goers become honorary citizens of Calico, a Wild West outpost, in Knott's Berry Farm's Ghost Town Alive. This immersive entertainment experience features cowboys, train robberies, bandits and even a western hoedown. Turn it Up!, an award-winning ice skating show in Busch Gardens Tampa Bay's Moroccan Palace presents 22 minutes of contemporary skating performances set to eclectic pop music. 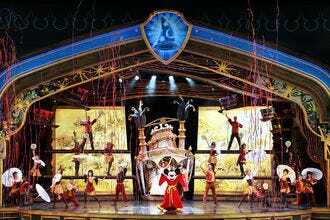 The show features 12 performers and some 65 costumes in total. 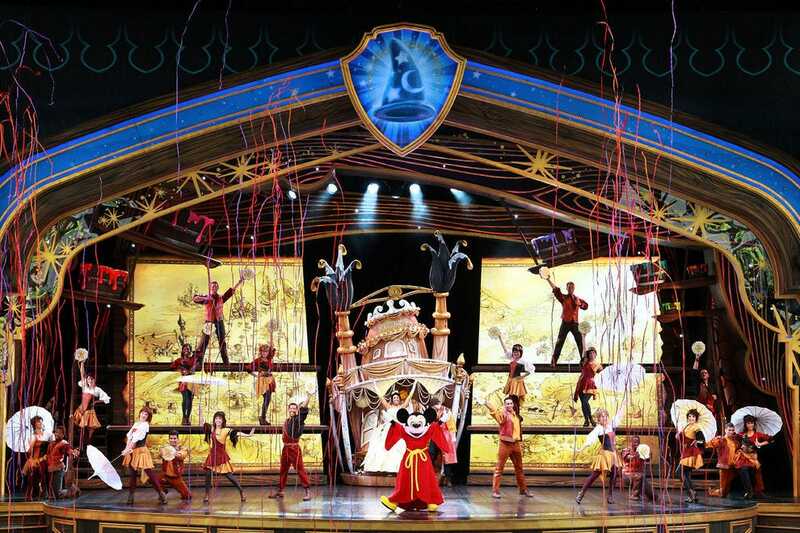 When Mickey pulls out his Magical Map, park goers embark on a journey deep into the jungles with King Louie, beneath the sea with Sebastian and into the woods with Pocahontas. The live musical show in Disneyland's Fantasyland features songs from numerous animated films, all arranged by composer Timothy Williams. Watch Mickey conduct scenes from Fantasia over the Rivers of America in Disneyland Park's Frontierland. As his imagination starts to grow, the show focuses on a battle between good and evil as characters appear as visions on the water and in real life. 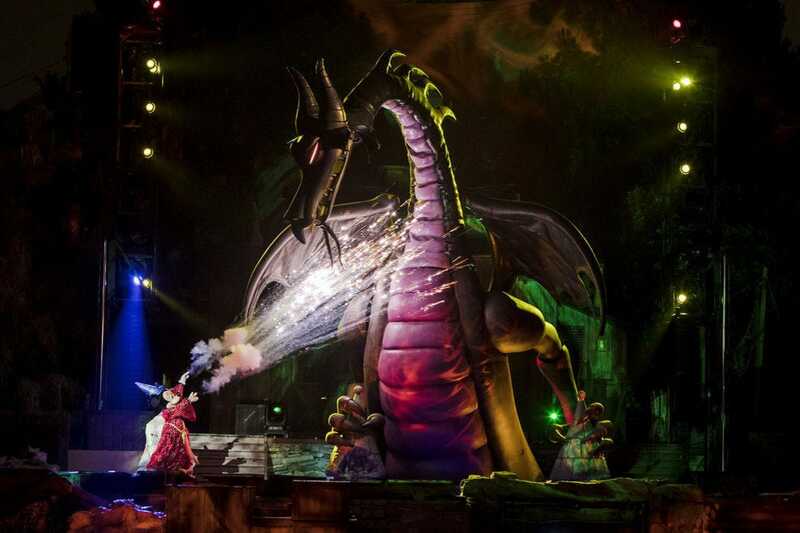 This nighttime show features special effects such as music, lasers, high resolution digital film sequences and pyrotechnics. 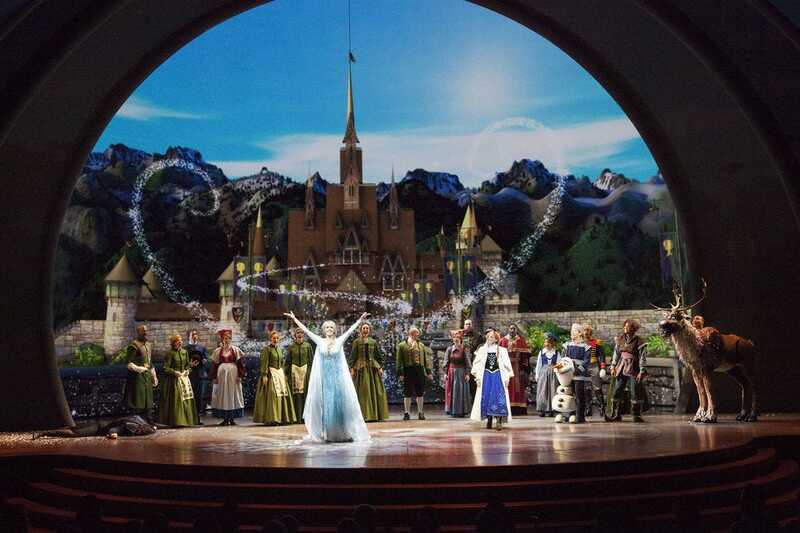 Visitors to Disney California Adventure in Anaheim can get their Frozen fix via the stage musical, Frozen – Live at the Hyperion. 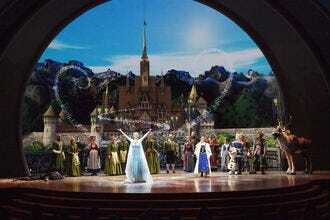 This theatrical interpretation of the Disney favorite follows the adventures of Anna and Elsa inside the park's Hollywood Land. 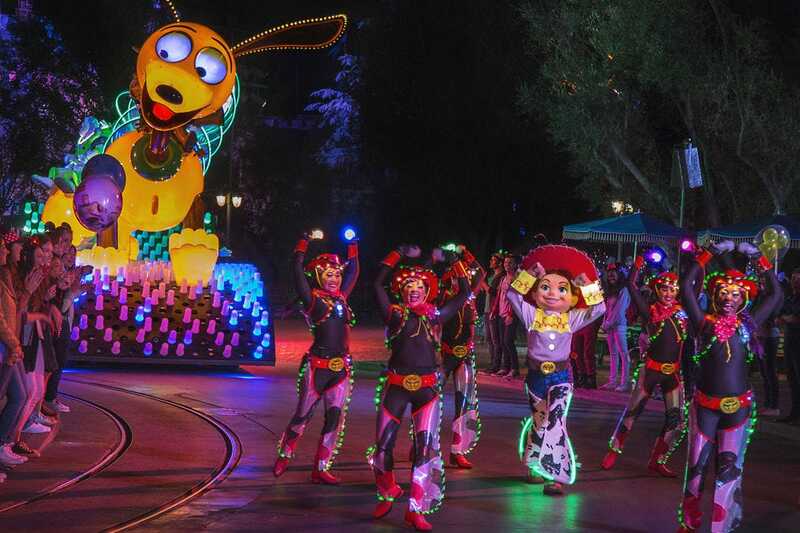 Watch as Mickey Mouse and Tinkerbell’s pixie dust light up more than 1.5 million LED lights during this state-of-the-art parade that travels through Disney California Adventure to the sounds of high-energy music. A variety of costumed performers and characters appear on the illuminated floats such as The Incredibles, Buzz Lightyear, Ariel, Mike and Sully, and more. The latest in Disney's lineup of always spectacular fireworks shows, Happily Ever After wraps up a day at the Magic Kingdom with 18 minutes of pyrotechnics, lasers, lights and projections, set to contemporary versions of tunes from Disney's most memorable animated films. A panel of experts partnered with 10Best editors to picked the initial 20 nominees, and the top 10 winners were determined by popular vote. Experts Robb Alvey (ThemeParkReview.com), Doug Barnes (Season Pass Podcast), Austin Carroll (Fastpass to the Past: The Theme Park History Podcast), Monet Massa-Sena (The Theme Park Princess), John Stevenson (Coaster101.com) and Josh Young (Theme Park University) were chosen based on their knowledge and experience of amusement parks in North America. Congratulations to all these winning amusement park shows! 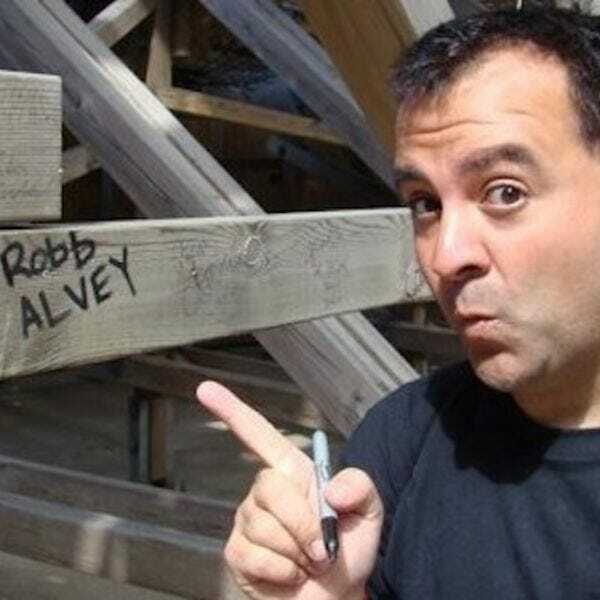 Robb Alvey is the owner of ThemeParkReview.com, started in 1996 and one of the longest running and largest theme park fan sites with over 2 million followers. 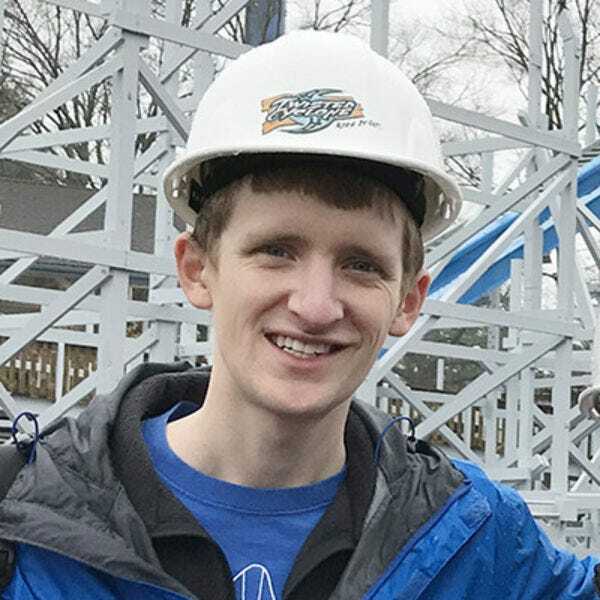 Robb travels to theme parks all over the world each year including Europe, Asia, Australia, and all around the Americas, has visited hundreds of different parks and ridden about 2,000 different roller coasters. His background in theme parks started as a cast member for Disneyland when he was 17 years old and has continued more than 30 years later. 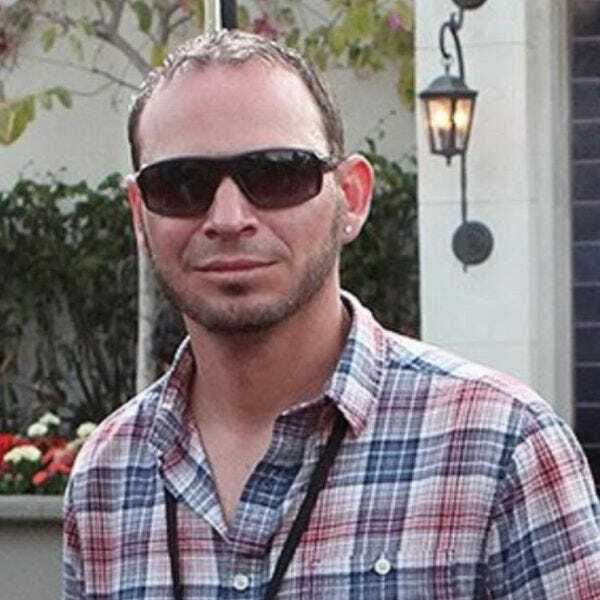 Doug Barnes is the Owner/Producer/Host of the Season Pass Podcast. 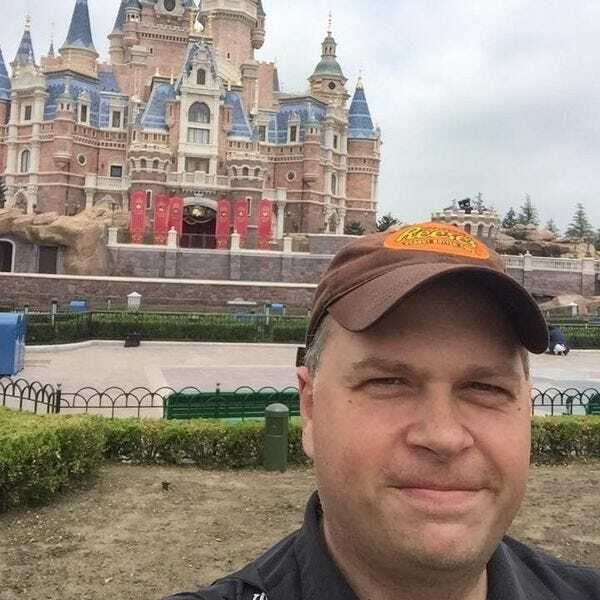 Podcasting on themed entertainment for over 10 years, Doug took his lifetime hobby of theme park fun and turned into the largest audio archive of creative stories, career origins and attraction development, told by the industry creators themselves, on the internet. Doug has interviewed 500-plus themed entertainment creatives, media, celebritie, and fans; and has moderated multiple convention panels based on themed entertainment.